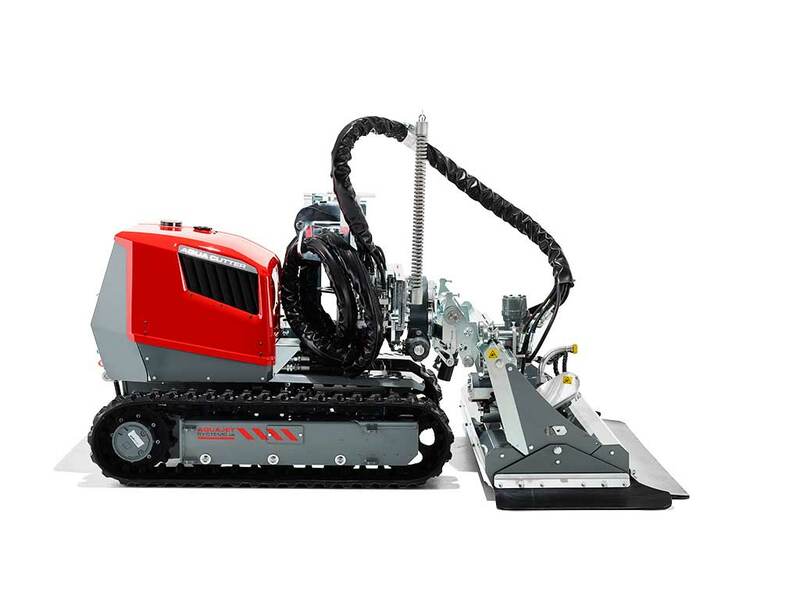 The AQUA CUTTER 410V is a carefully balanced mix of our successful robots, 410A and 710V. 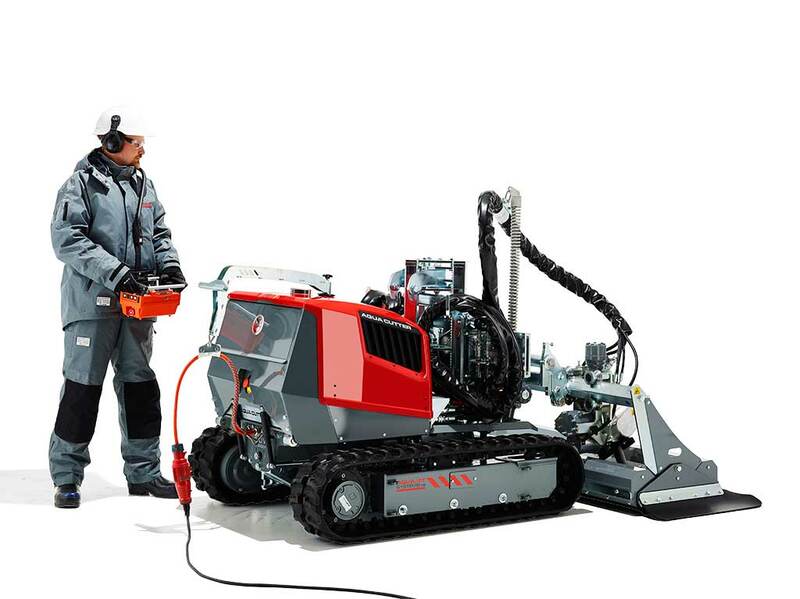 It’s basically a combination of the worlds smallest and most versatile Hydrodemolition robots. 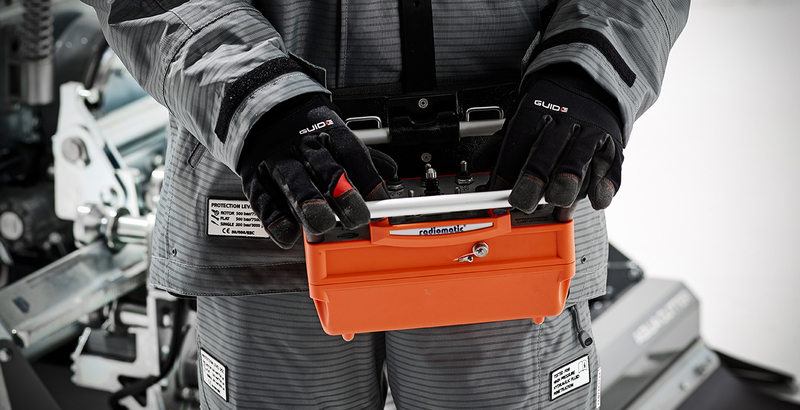 In other words, you’ll get perfect results every time, wherever you work, especially in tight spaces. 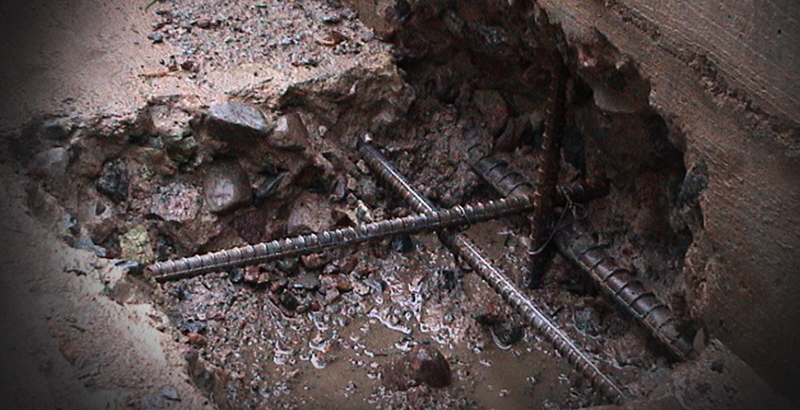 The AQUA CUTTER 410V is specially designed for applications in confined areas and to replace hand lance work. 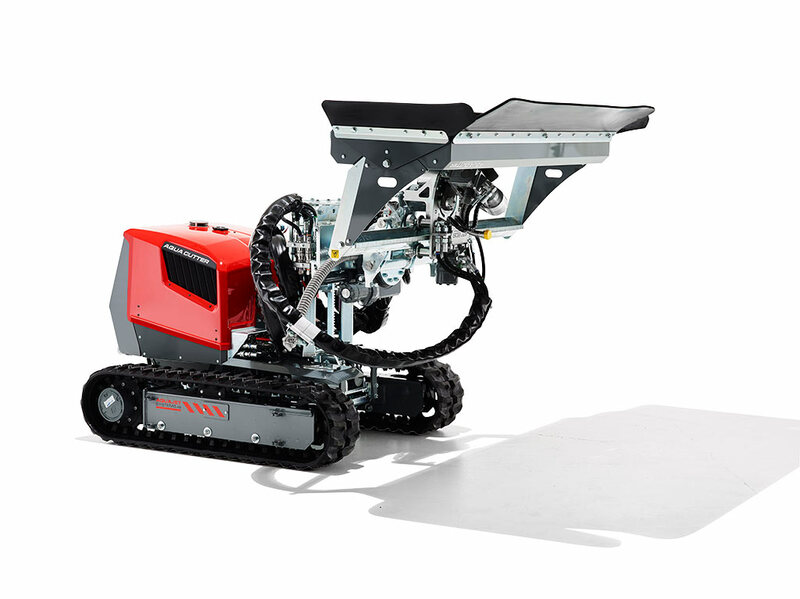 Its small size and low weight allow the robot to easily pass through narrow passages such as doorframes or operate from scaffoldings. 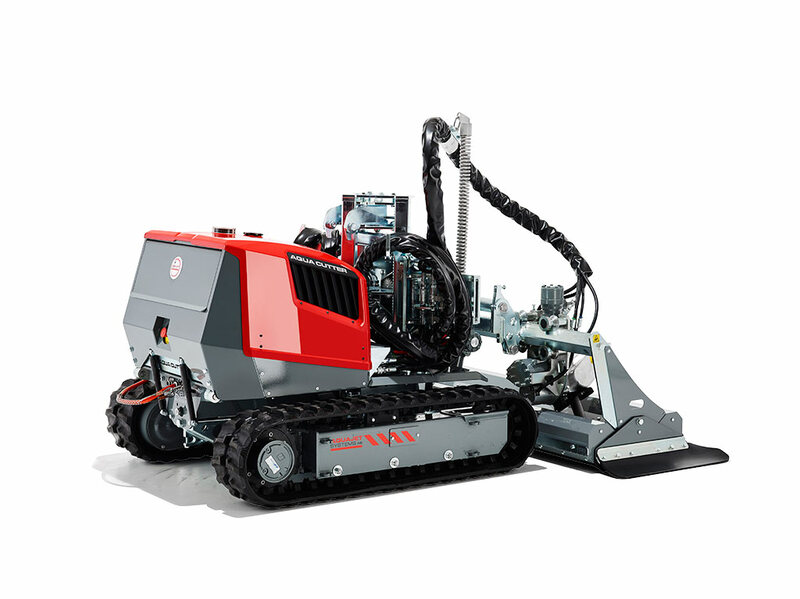 This makes the AQUA CUTTER 410V perfect for all kinds of operations, especially in tight spaces such as vertical shafts and furnaces. 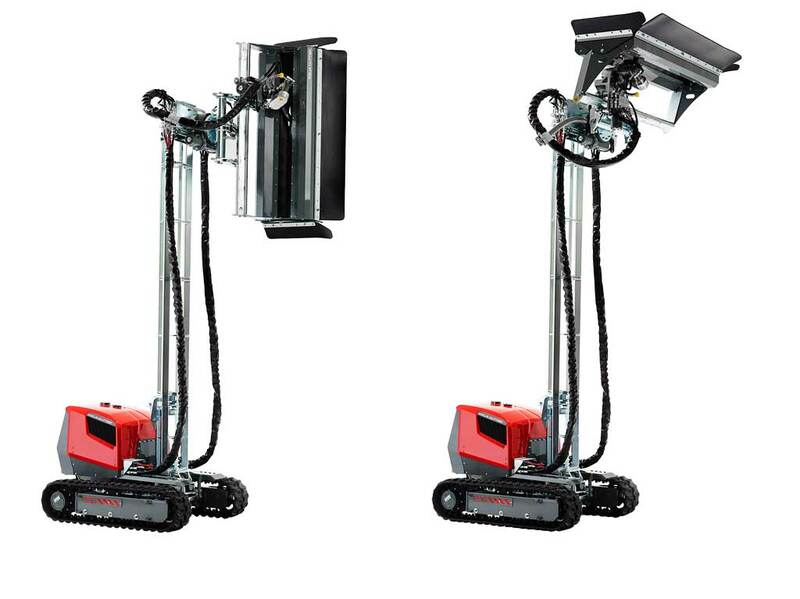 Aquajet’s innovative design gives the operator freedom to reach all horizontal, vertical and overhead areas up to 4 meters without support, and even more with support. 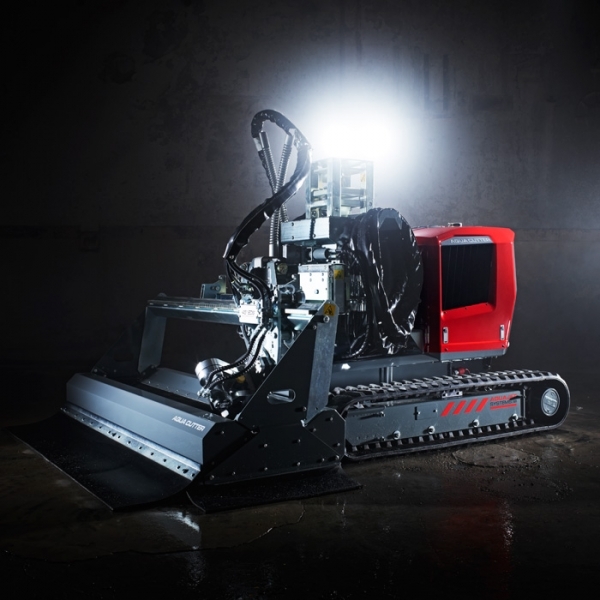 The unique 3D positioning system and the front power head gives the operator freedom to reach all areas like never before. 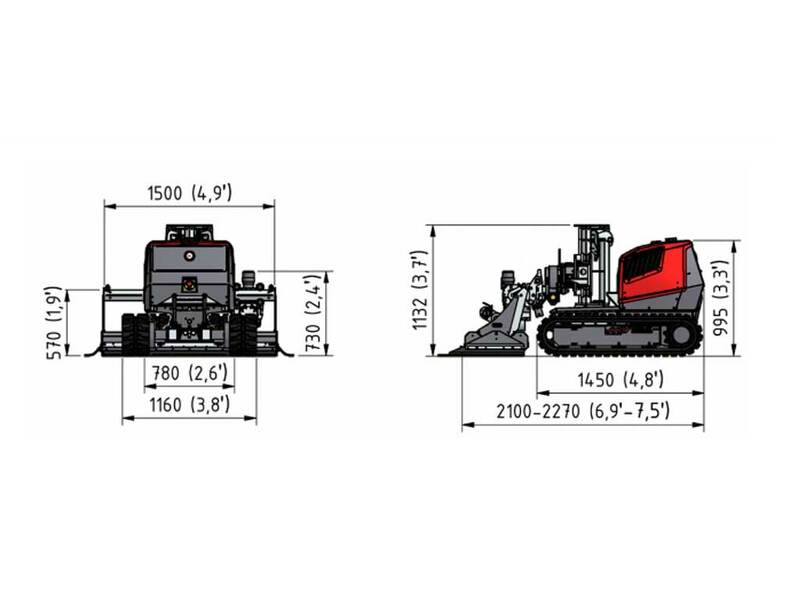 For vertical and overhead operations, the 410V has a steel mast constructed in sections. 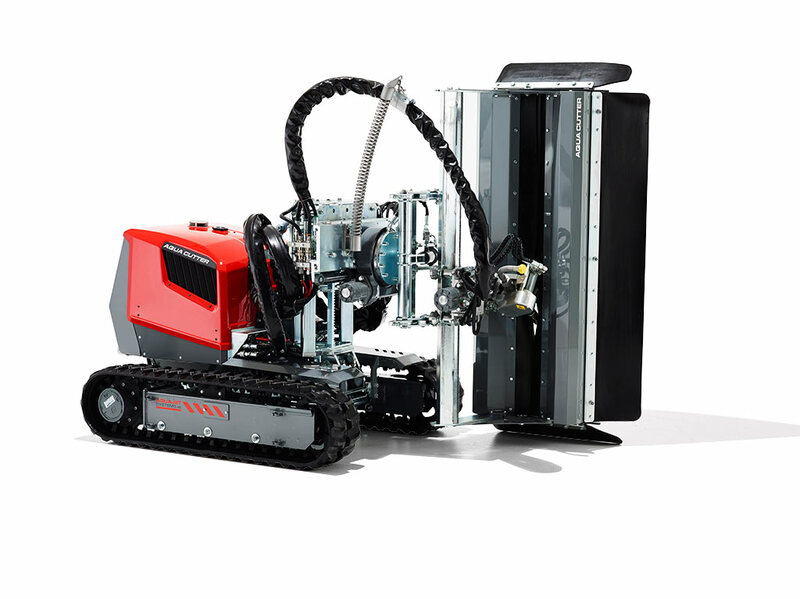 If you choose the AQUA CUTTER Evolution control system you’ll enable highly computerized robotic management for advanced operations. 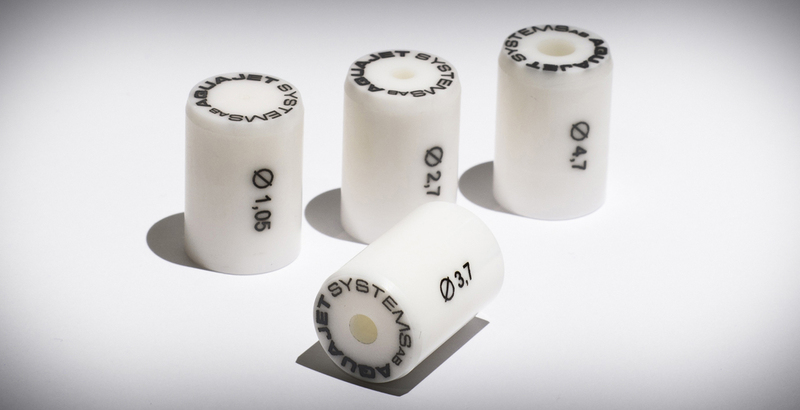 In addition, you’ll get the 45° EDS roller that keeps a set distance between the nozzle and the concrete, without any water jet energy waste. 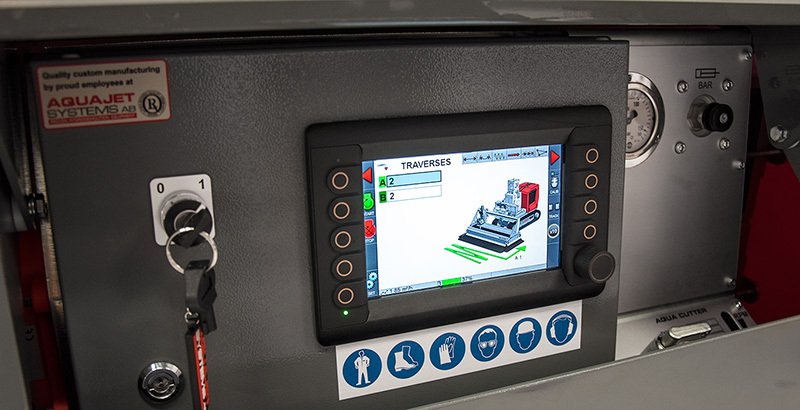 The Evolution control system allows you to program geometrical figures such as circles, triangles, squares and rhomboids. 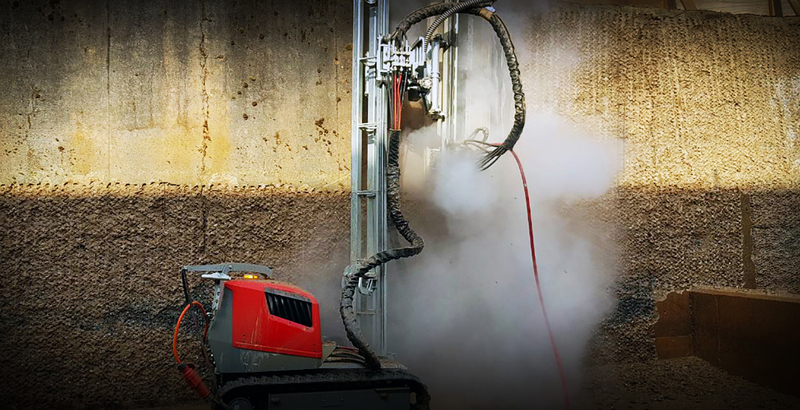 Today, it’s the most sophisticated and flexible system on the market for Hydrodemolition robots. 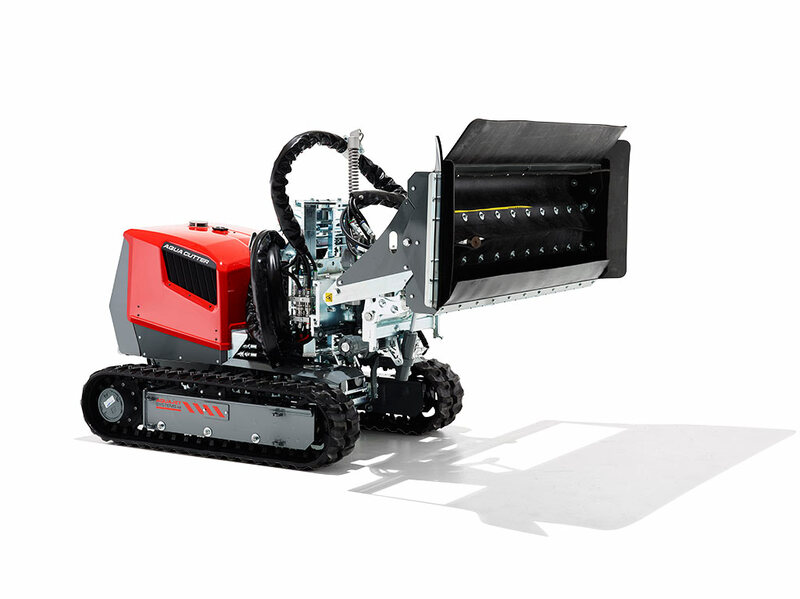 A radio remote control allows you to operate the AQUA CUTTER robot from a safe distance, wireless or with a hard wire. That’s up to you and the operation at hand. 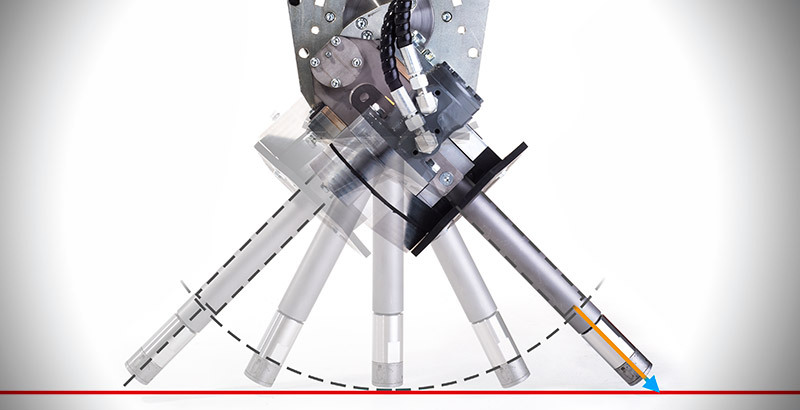 All our cutter robots features our patented EDS system, short for Equal Distance System. 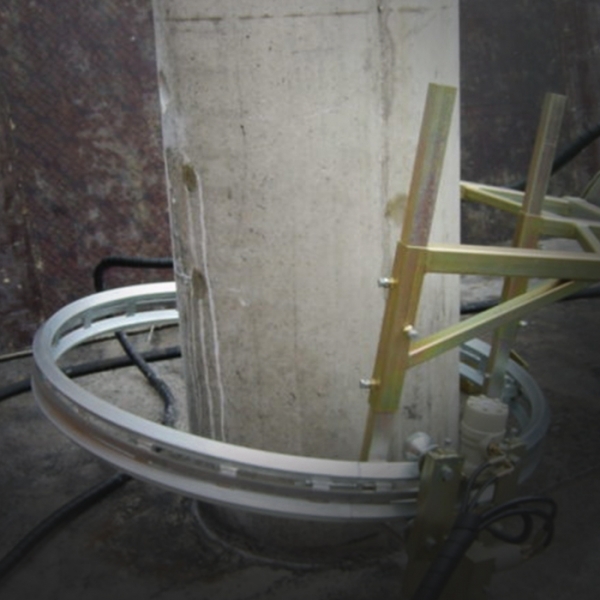 The EDS system keeps a preset distance from the nozzle to the concrete surface, regardless of the attack angle of the waterjet. This is a major advantage. 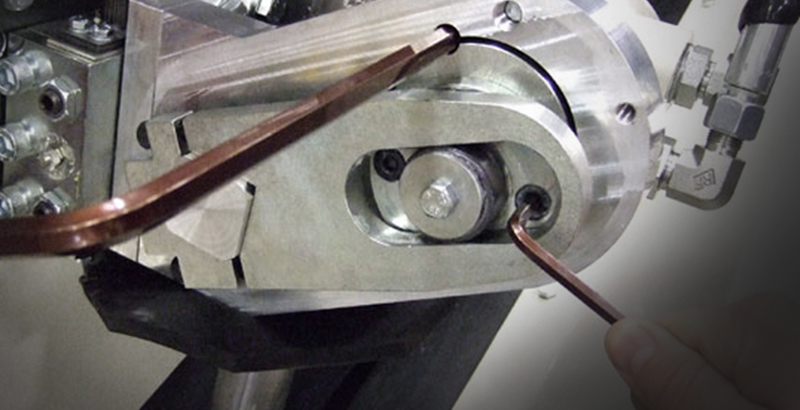 Standard systems without EDS make the waterjet lose a lot of power before it hits the concrete. 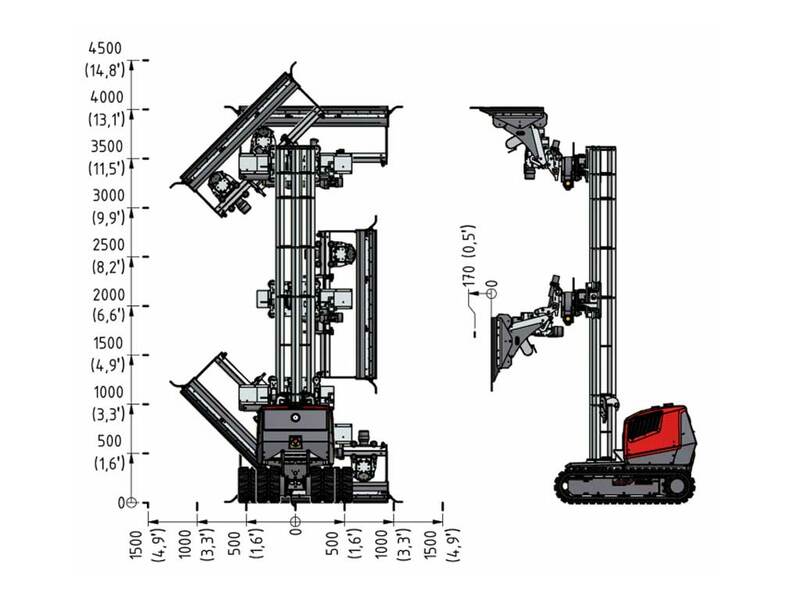 The easy to extend tower system on all V models has proved its versatility; it is fast and easy to fit the required numbers of sections to reach the desired operation height whether it is for vertical or overhead removal. 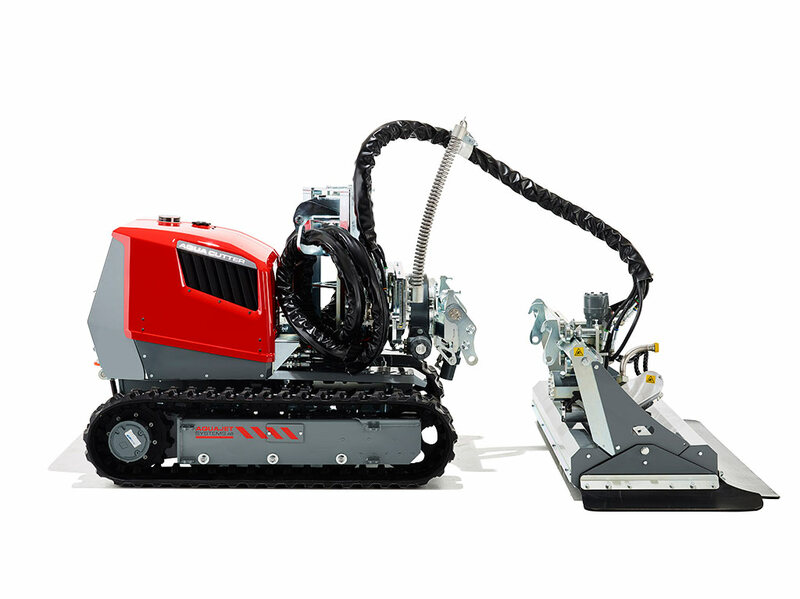 The multi axis 3D positioning system of the cutting head, gives the ability to operate on all surfaces. The standard reach is 7 meters, and can be extended further. 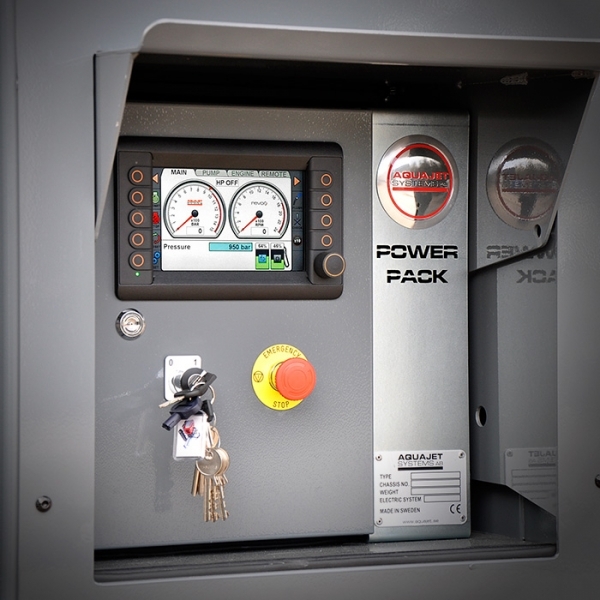 The power control module (PCM) can be disconnected from the tracked crawler. 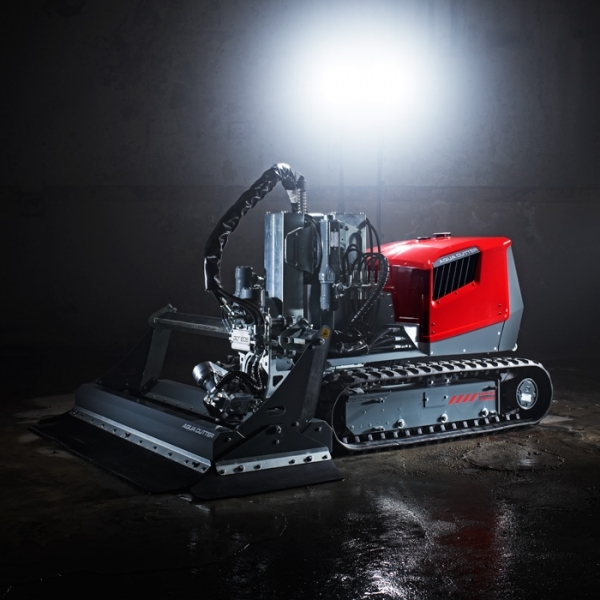 This allows you to drive the crawler into tight and inhospitable environments, such as small tunnels and flooded sewer pipes. How do you reach corner areas where the wall and floor meet? Usually you need some kind of handheld trimming equipment. We have solved this problem in an ingenious way. 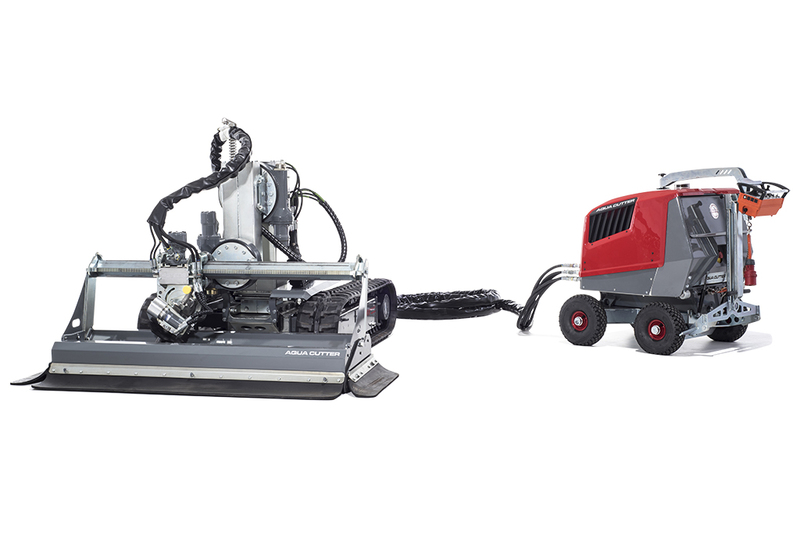 With our robots you’ll finish the job with only one overpass thanks to unique lance control and the EDS system. No hand lances. No adjustments.Perfect results.